Me on the speedboat cruising the Likau River, Similajau National Park,Bintulu. Between 1988 - 1992, I took lots of riding trips on a speedboat. I would travel up the the rivers of Kemena, Tatau and Likau on official duties. Those were days when my hands were full. 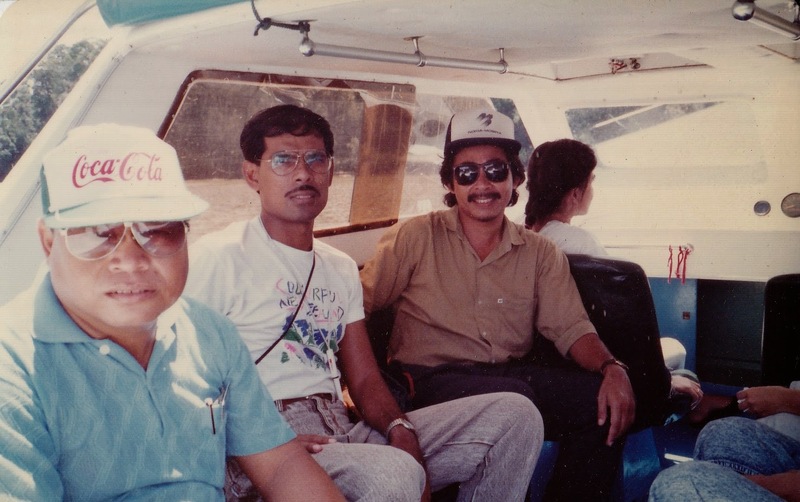 I had a wide range of working portfolio (landscaping, housing, PR and tourism, squatters resettlement, HR and general administration) which brought me to places around Bintulu division. . Sometimes the locations are remote and the only means to reach them was by the speedboat. On one occasion, I had to endure two and a half hours of 3 meters wave in pitch darkness to arrive at Likau River. Even the boat mechanic vomited and got seriously seasick. As for me I could not tell the difference between a huge 3 meter waves and any other wave because it was my first experience riding in an outboard in the dark. Fortunately that night we arrived Likau safely, thanks to our expert driver, strong spotlight and two twin 200 hp engines. 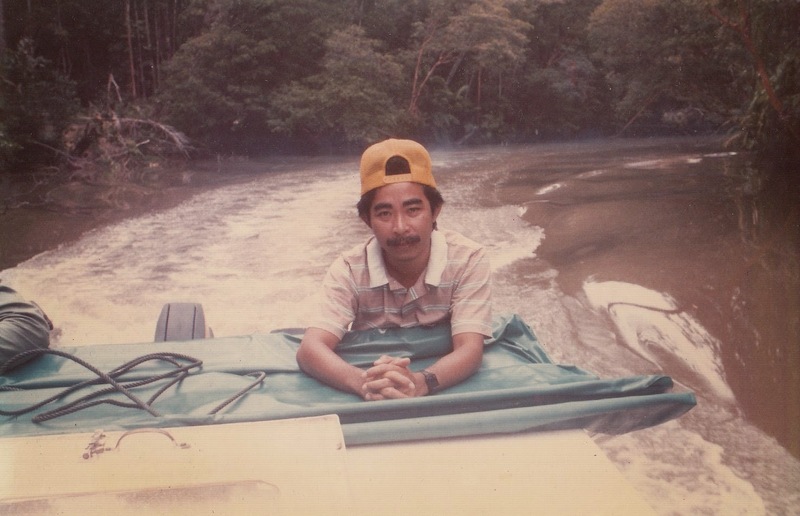 I used to bring many groups of people to Similajau National Park and the Likau River which was the entry point to the park. From Likau I would bring visitors and friends to see the golden beach at the Similajau National Park where turtles regularly lay eggs. Once I brought my children to play on the golden sands there. My pet project at Likau was the construction of tourist facilities there on behalf of the Forestry Department. We built hostels, chalets, office block, canteen,rest shelter, jetties and footpaths. 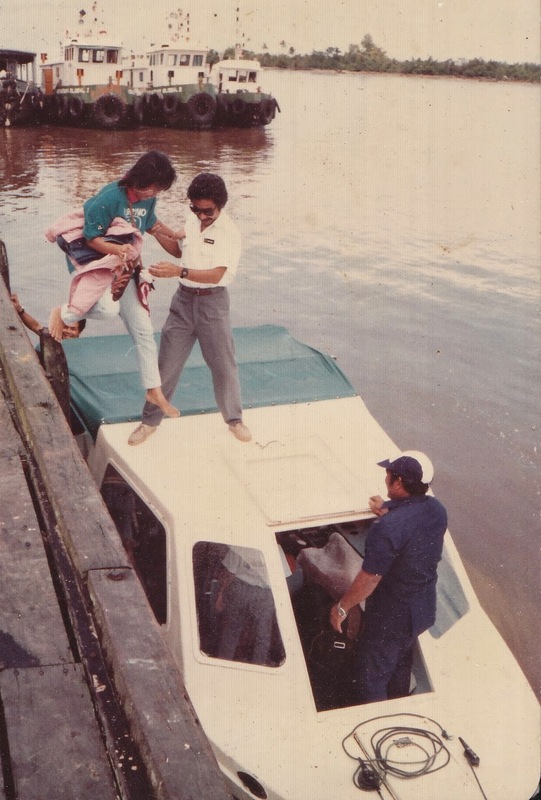 Today, Likau is reachable by road (about 40 minutes drive from Bintulu town center) but in those days when we were doing the facilities, the only means to reach the location was by sea. However by the time the facilities were completed proper road was also completed by the JKR or PWD (Public Works Department). Sarawak has huge potential in tourism but there is so much still to do, even today. 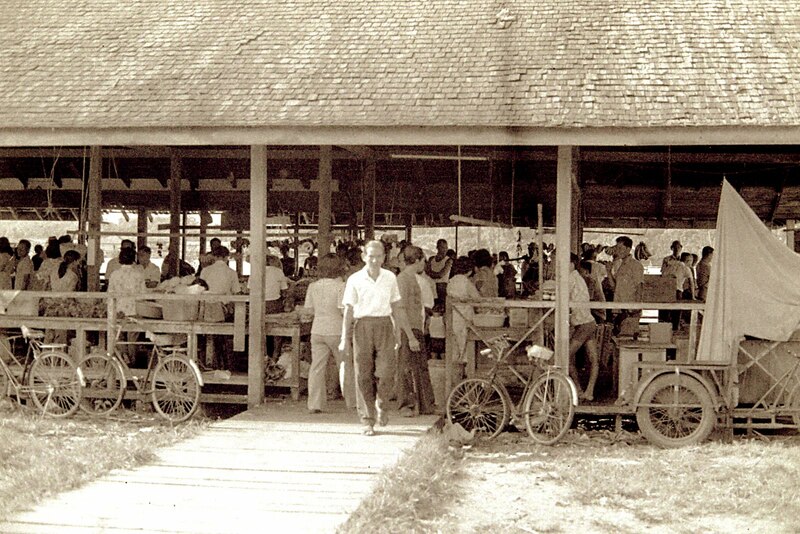 Glad I was involved in the early days of tourism in Bintulu. And not to forget the speedboat that saved my life that dark night. 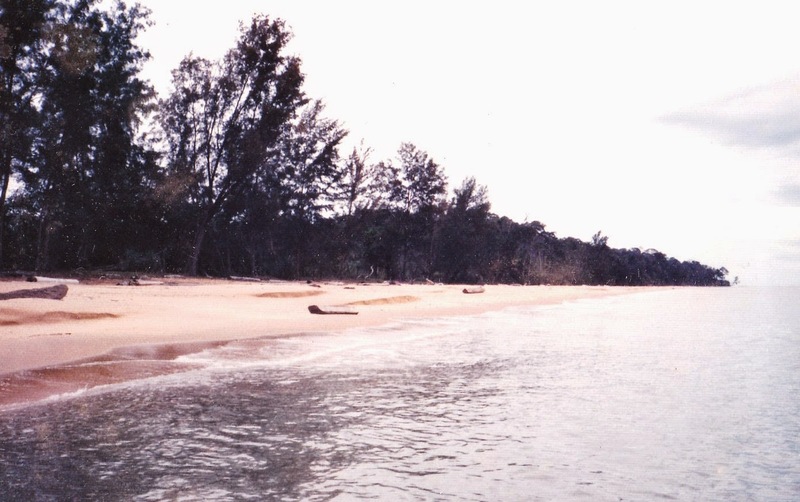 Pic shows the golden beach at Similajau National Park, taken on 23 March,1991. 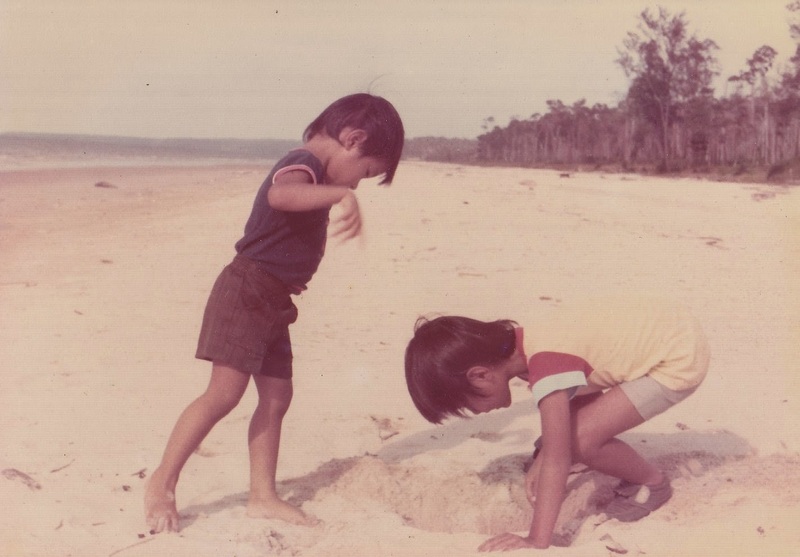 My children playing on the golden sands at Similajau National Park, 14 December,1988. 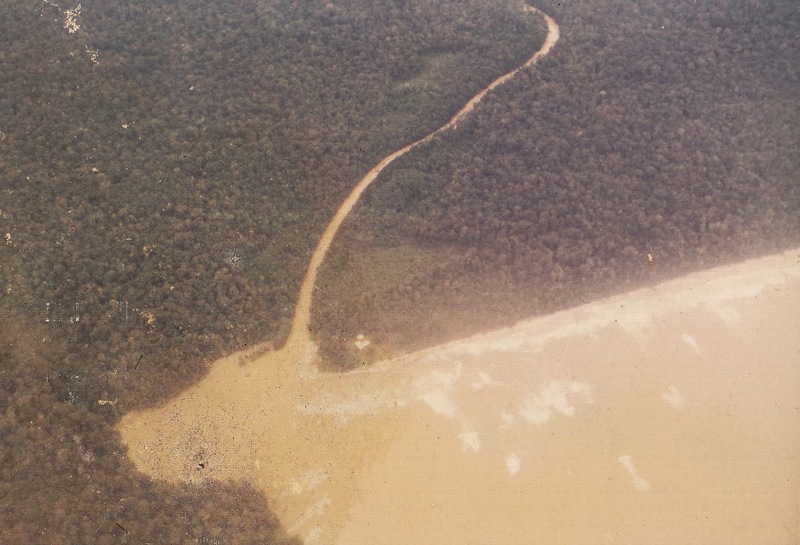 Aerial colour photo of Likau River. This I took while on a commercial plane flying over the area, taken in 1988. Accessible only by sea from Bintulu. Recent satellite photo of the Likau River. 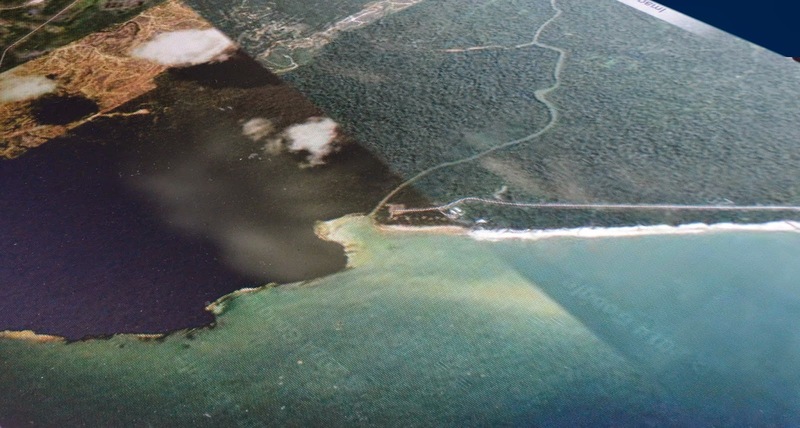 Note the presence of the road linking to the tourist facilities area/park headquarters from Bintulu. The clearing on top left of the picture are for oil palm plantations. 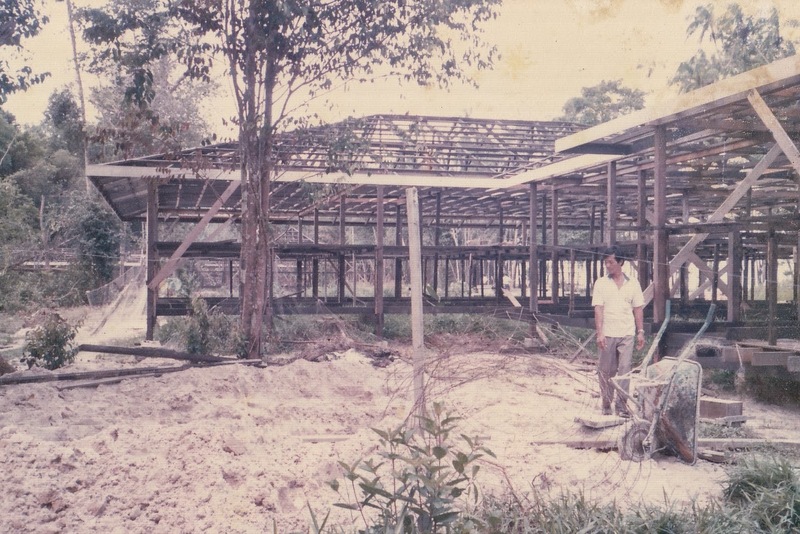 Office Block under construction at Likau, 14 January,1991.